If you love fishing and you love to laugh, check out Sucked Dry: The Struggle is Reel. If you love fishing and you love to laugh, check out Sucked Dry: The Struggle is Reel.. Sucked Dry: The Struggle is Reel is a humorous, inspiring tale of one anglers quest to fight the biggest fish in the world and come to terms with the passing of his father. Pick it up on Amazon, and you will even learn the true reason why bananas are bad luck on boats. 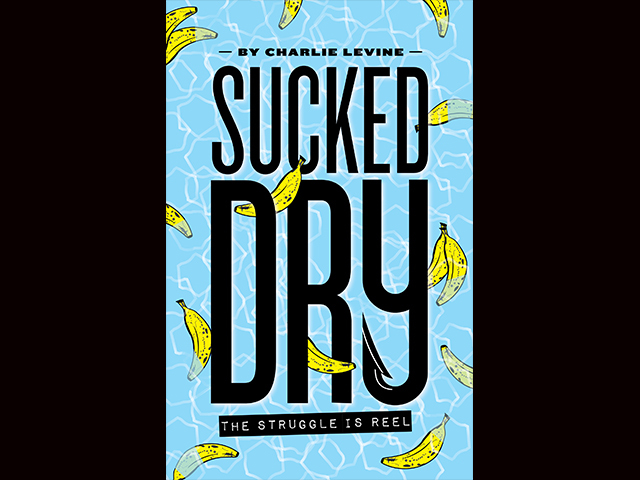 The book's author, FishTrack editor Charlie Levine, says Sucked Dry is fiction but was inspired by his own travels to some of the world's best fishing locations and the characters he's met along the way. In Sucked Dry: The Struggle is Reel, the recently published book by FishTrack editor Charlie Levine, the reader zigzags across the world to some of the best fishing locations in search of action, adventure and a good time. The book follows a young, thrill-seeking angler named Parker McPhee who never knows what -- or whom -- he's going to encounter on his next fishing trip, and he likes it that way. Charged by his dying father’s wish for his son to see the world and live life on his own terms, Parker embarks on a rollicking expedition from the blue-water tropics in the Caribbean to the Gulf of Alaska to the trout streams of Montana. Along the way he reels in big fish, beautiful women and a lifetime of memories. Parker's days on the water include fly-fishing for 100-pound tarpon, trolling for blue and black marlin, casting to roosterfish, reeling in striped bass and bluefish, baiting giant bluefin tuna, catching Alaskan halibut, battling New Zealand swordfish, enticing rainbow trout with dry flies and fishing the deep waters off Colombia. And like many traveling anglers who are not opposed to having a good time in the darkest hours of night, Parker lands himself in exciting and sometimes harrowing quandaries. Sucked Dry is filled with inspiring fish fights that vividly explain the pull of a giant swordfish and the take of a trophy trout. The book puts the reader right into the fighting chair. But fishing is also about having fun, sharing stories, meeting new people and creating memories. And you will definitely meet some characters in this book. “A lot of people have asked me if this book is biographical. It’s not. It’s fiction, but I can say that one of my favorite parts about traveling and fishing is the people you encounter. In the book I really do my best to describe some of these characters. I also put a lot of father and son interaction in the book because I too got to know my own father best from the time we spent fishing together,” Levine says. Throughout Sucked Dry, we find Parker embarking on many journeys, but we also find him connecting the dots of his relationship with his father. Fishing brought Parker and his dad together in life, and their shared passion for big fish and the outdoors helps Parker come full circle and rediscover his roots and a better understanding of what he's made of. "I think everyone who loves to fish has a story about the man or woman who got them into the sport. Their father. An uncle. A grandparent. We all have these memories of our time on the water with these important people in our lives and I wanted to share with readers how this time spent fishing together is so vital to our lives," Levine says. "So you get a bit of the silly side of fishing and also the sentimental side." If you like to laugh and you love the ocean, pick up Sucked Dry: The Struggle is Reel and hop on board for one hilarious, inspiring journey. Charlie Levine is a lifelong angler who has fished from Florida to Australia, and many spots in between. 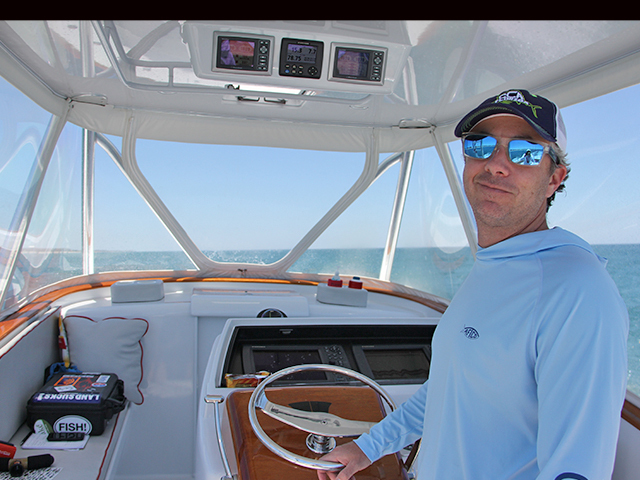 He has written hundreds of articles for top fishing publications including Marlin, Sport Fishing, Tide, The Drake and others. He is currently the editor and publisher of FishTrack.com and Buoyweather.com. Sucked Dry is available in paperback and e-book through Amazon.